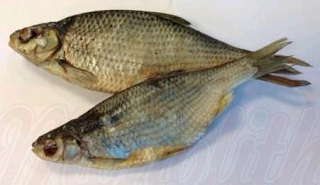 Food and drinks company Monolith UK Ltd has issued a recall notice for its Chilled Dried Salted Common Roach due to concerns with the company’s safety procedures and control measures to deal with the biological hazard bacteria Clostridium botulinum. The product has been linked with cases of botulism in Germany and is being recalled from customers as a protective measure. The risk factor is that the company could not adequately exhibit sufficient safety control measures and manufacturing controls to bring Clostridium botulinum within safe levels. Control measures are used to prevent the growth of the bacteria, and the toxins it releases. Botulinum toxin is a very serious health risk as it can lead to botulism, which can be fatal. Best Before Dates: 19 December 2016, and 26 December 2016. If you do have the affected product, be sure not to eat it, and instead either return it to the store you bought it from for a refund, or dispose of it. Point-of-sale notices will be displayed at all store locations where the product has been sold, to inform customers of the recall. Monolith is a European food company specialising in wholesale import and distribution of Eastern European food specialties. If Monolith had a proper HACCP plan in place, then none of this would have happened. Food recalls are a costly business, but avoidable with the right safety measures. And just to be clear, roach is a fish, otherwise there might be more problems with food safety than Clostridium botulinum. Unless you live in Madagascar, where cockroaches are traditionally a local cuisine!